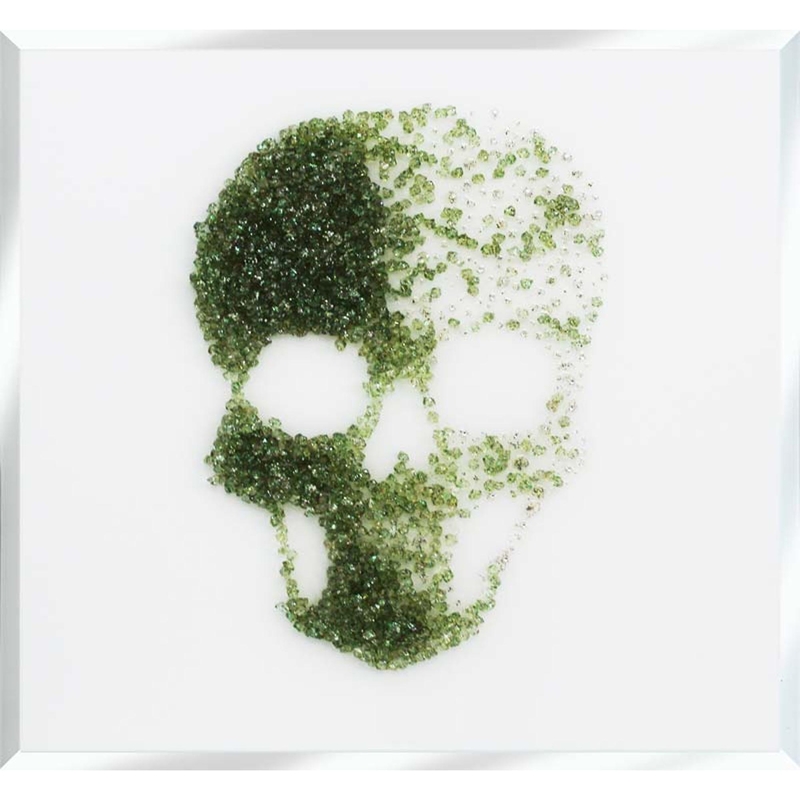 Give your home a unique style with our stunning and Green Glitter Cluster Skull on White. Although a skull is edgy style, the artist has designed this with green glitter giving it quite a chic and glamorous look. This piece was hand finished in the UK and set sizes are available, but you can also custom size your piece with brackets attached on both options.